5th June 2014, Dubai, UAE : Dubai Electricity & Water Authority (DEWA) has announced the first class of Carbon Ambassador 2014-2015, as part of a ceremony celebrating the World Environment Day in Al Qouz sustainable building on 5 June 2014. HE Saeed Mohammed Al Tayer, MD & CEO of Dubai Electricity and Water Authority initiated the ceremony by quoting the words of His Highness Sheikh Khalifa Bin Zayed Al Nahyan, the UAE President; “The UAE is striving to develop and boost its rich resources and expertise in the international energy markets and enhance its leading role as a world centre for renewable energy research and development”. 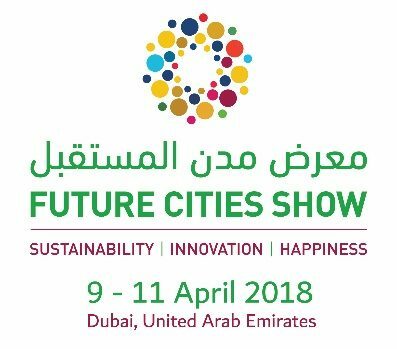 HE stressed that the trend towards sustainability and UAE vision 2021 is based on the national initiative launched by HH Sheikh Mohammed Bin Rashid Al Maktoum, Vice President and Prime Minister of the UAE and Ruler of Dubai, under slogan “Green Economy for Sustainable Development” which focus on the economic, social prosperity and the sustainable environment of UAE with aim to integrate the sustainable development as a daily practice for us and the future generation. HE also referred that the UAE fulfilled outstanding achievement in its endeavours toward sustainability and sustainable future and praised the program launched by DCCE and supported by DEWA and UNDP, emphasizing his reliability that the targeted objectives of the program will be achieved in a manner that serves aspiration of our wise leadership towards sustainability. The program aims to stimulate the participation of a select group from university students in the areas of sustainable development, carbon emissions reduction and green economy in particular. The program, which includes participatory workshops and activities in the social awareness, will allow the opportunity for the youth to interact with some personal, local and international perspective. “Carbon Ambassadors Program is the kick-off of a year teemed with activities ahead all of us, where Carbon Ambassadors will, throughout full year, contribute on series of dialogues, lectures, workshops, site visits and competitions amongst many other things. The program will host integrated activities to the Carbon Ambassadors allowing to improve their approaches of thinking and how to take leading role for the development of the UAE”, Eng. Waleed Salman, Chairman of Board of Directors of DCCE pointed out. The program is divided into three key themes to provide the carbon ambassadors with a real opportunity to explore the theme areas, meet the experts, and develop their professional careers in line with the UAE vision 2021, Expo 2020 and Dubai Integrated Energy Strategy 2030. In this context, HE Sultan Ahmed Bin Sulayem, Chairman of Board of Directors of DP World, said; “We are pleasured to partner in Carbon Ambassador Program as initiative enabling youth participation in realizing the UAE vision to achieve sustainable development and we are outwarding to work closer with our partner DCCE to prepare Green Economy Ambassador who will enrich our route to the sustainable development”. “UAE has gone so far in youth enablement and participation, and Carbon Ambassadors Program is the exact brilliant example since it allows common participation and knowledge sharing amongst youth. Carbon Ambassadors will deepen their experience and polish their leadership skills and will eventually play roles that are more considerable in the future. We, in the UNDP feel proud to partner with DEWA and DCCE in this initiative and we are looking forward for more models of public and private partnerships the matter enhances development of the region towards prosperous future”, Mr. Sayed Agha, resident coordinator of UN Organization, resident representative of UNDP in UAE said. Carbon Ambassador Program includes completion of a key project, attending core training programs as well as participating in one international event to be organized in UAE. The program will host a fully interactive schedule to encourage more youth involvement as it will comprise dialogues, lectures, site visits and competitions. Carbon Ambassadors 2014 -2015 during the launching ceremony received Green Passports by the program as a token of commencement of eventful year in order to document their achievement throughout the year. The ceremony was marked by signing Strategic Partnership Agreement between DP World and DCCE whereby DP World will partner in sustainability programs and will oversee Carbon Ambassador in designing and implementing a plan to convert a 20’ container to attractive self-contained roadhouse in bus stand area. DP World will also adopt training the Carbon Ambassadors during implementation of the project up to successful completion and participation in referral committee as well.